Owing to problems with the structural columns, resulting from a poor original mix design, Lafarge was called upon to take over responsibility for the supply of concrete. The company supplied over 350m3 of Agilia™ Vertical concrete. Each day, 6m3 was supplied, with a 2m skip and crane used for placing. 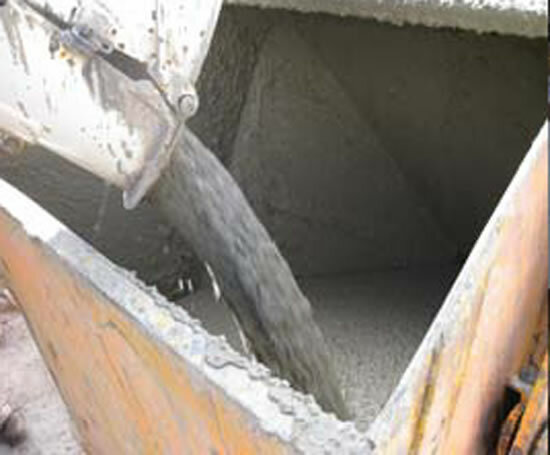 BAM specified a 60-Newton mix, which Lafarge designed to site requirements. Continuous quality control was carried out at the plant and at the site. A complete fill was achieved, providing a high-quality surface finish with no remedial work needed. Agilia™ Vertical has a mix design that incorporates a granular packing concept to ensure stability and strength. At the same time, the admixtures used give the concrete its flowing qualities.